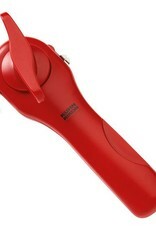 This redesigned opener has a more comfortable grip and pull tab hook to open additional cans. 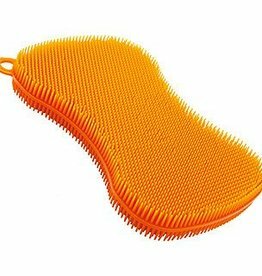 Its slim design fits in a picnic basket or backpack and is perfect for camping, boating or picnics. 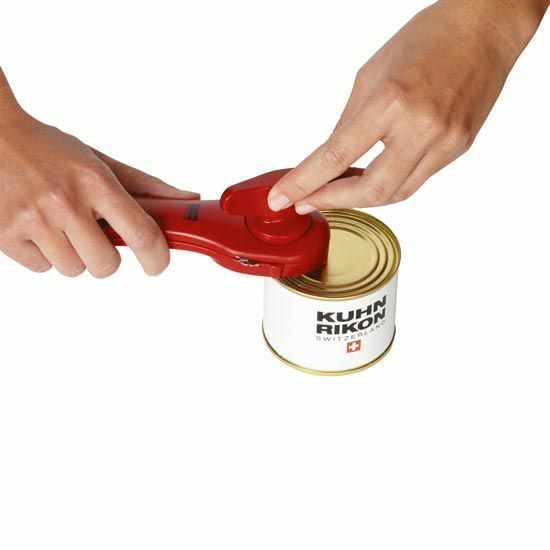 The revolutionary design makes opening cans clean, safe & fun. Lids are removed, leaving no mess or sharp edges. Safe, ergonomic and just plain cool. Tuck away in a picnic basket or backpack - perfect for camping, boating or picnics. 1. 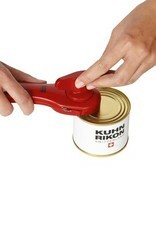 Open handles and attach can opener parallel to top of the can; rim between the two lines. Close handles. 2. Twist knob clockwise. 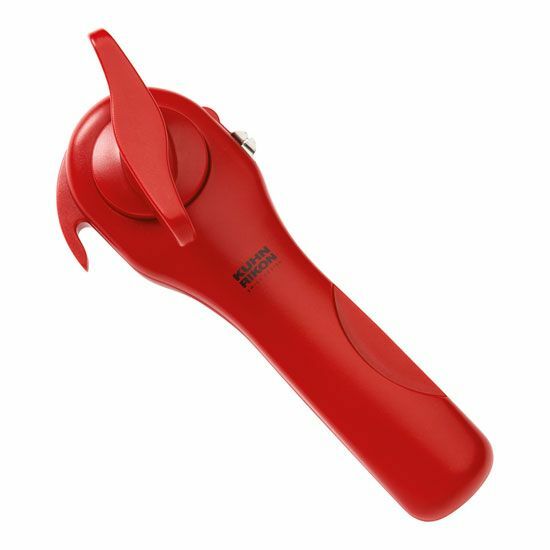 Opener will automatically grip lid and begin to cut. After a full circle, you will feel less resistance. Stop – can is open. 3. Open handles again to release. 4. Use mini-pliers by opening and closing handles to lift lid cleanly and easily! 5. 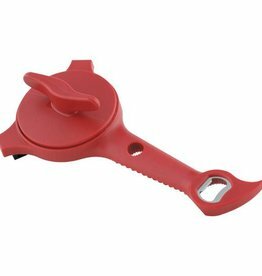 Ring-pull: Slip ”beak“ into loop; rock back & pull open to open pull tabs. Warning: Don’t cut more than full circle. Over cutting may create burrs or slivers that could cause injury.